GEONETCast Americas is the Western Hemisphere component of GEONETCast, a near real time, global network of satellite-based data dissemination systems designed to distribute space-based, air-borne and in situ data, metadata and products to diverse communities. This user-driven, user-friendly and low-cost information dissemination service aims to provide global information as a basis for sound decision-making in a number of critical areas, including Biodiversity and Ecosystem Sustainability; Disaster Resilience; Energy and Mineral Resources Management; Food Security and Sustainable Agriculture; Infrastructure and Transportation Management; Public Health Surveillance; Sustainable Urban Development and Water Resources Management.. Accessing and sharing such a range of vital data will yield societal benefits through improved human health and well-being, environment management and economic growth. GEONETCast receiving technology is based on using widespread and off-the-shelf components allowing for widespread adoption of the service at low cost. An entire receiving station can be purchased and installed for $2,000–3,000. GEONETCast is part of the Group on Earth Observation's contribution to the organization of the Global Earth Observing System of Systems (GEOSS) and is led by three regional infrastructure providers: EUMETSAT in Europe (EUMETCAST), Chinese Meteorological Administration (CMA) in the Asia-Pacific region (CMACast), and NOAA in the Western Hemisphere (GEONETCast Americas). 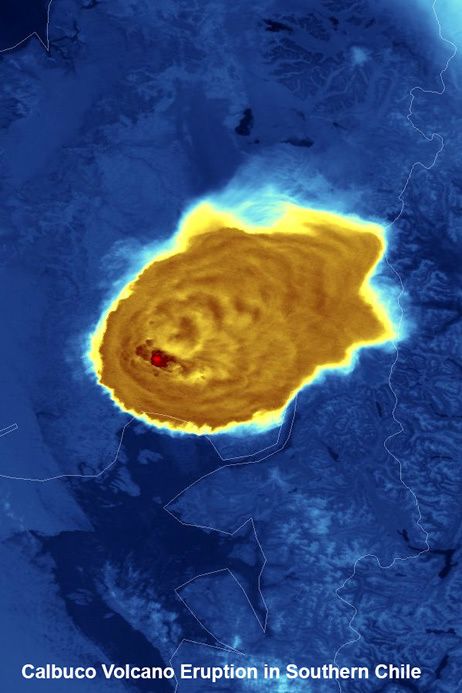 In 2007, the U.S. National Oceanic and Atmospheric Administration (NOAA) awarded a commercial services contract to enable expansion of GEONETCast into the Americas, and the service went operational in early 2008. Easy to-use, low-cost receiving stations will be operational in over 10 Western Hemisphere countries by 2009. The service uses the commercial Intelsat-9 (IS-9) satellite to broadcast environmental and other observation data to an area covering most of North, Central, and South America. A map of the coverage area can be found here. Users throughout the region can pick up the broadcast using inexpensive satellite receiver stations based on Digital Video Broadcast (DVB) standards (Digital Video Broadcast – Satellite or DVB-S). More information on GEONETCast's system architecture can be found here. To better serve you, please visit NOAA's Satellite Ground Station Customer Questionnaire and register your contact information. While not required, registering will allow NOAA to keep you informed of any updates that are occurring with GEONETCast Americas.